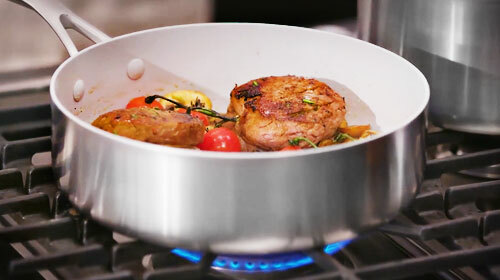 The GreenPan Venice Pro Nonstick Everyday Pan is designed for casseroles and brown and braise recipes. 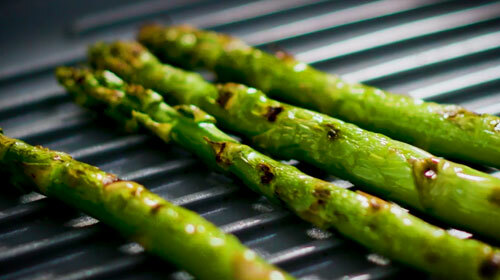 The GreenPan Venice Pro Collection is extra durable cookware with a timeless design, perfect for everyday use. 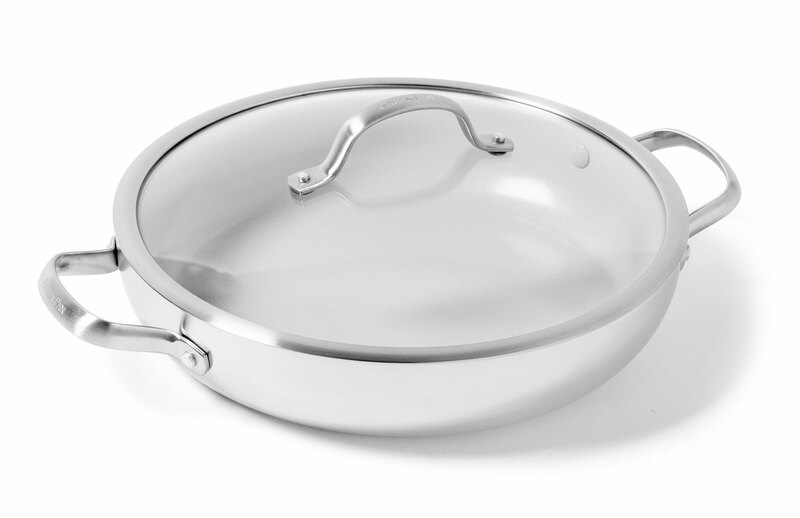 The multi-layer stainless steel body is stylish, handy, and suitable for all cooking surfaces including induction and enforced with Evershine technology, applied to the exterior body of your cookware to avoid discoloration and keep your stainless steel looking new. The interior is coated with Thermolon Minerals Pro, now metal utensil safe and lasts even in the face of intense use and cleaning. The trimmed edges keep Venice Pro flawless. 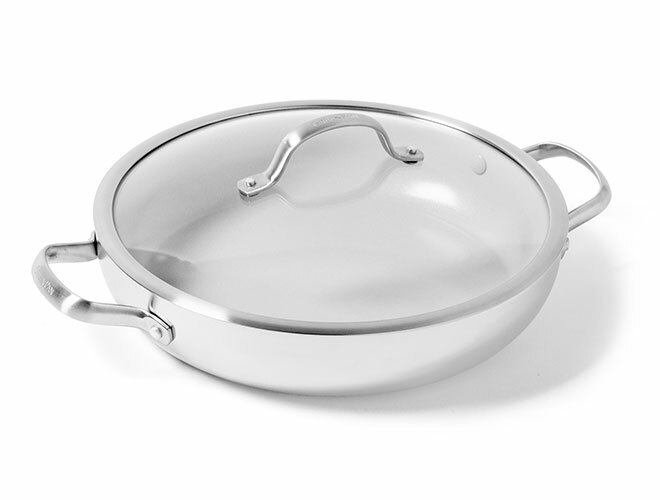 The riveted stainless steel side handles allow your cookware to quickly go into the oven. Multi-layer stainless steel body enforced with Evershine technology avoids discoloration keeping the stainless steel looking new.